CAN WE ALL BE FEMINISTS? (A Penguin Books Original; On-sale September 25, 2018) is the definitive anthology on intersectional feminism, and the first of its kind. Edited by feminist activist, writer, and current Duke University student June Eric-Udorie, it lifts up the voices of Black, queer, trans, Latinx, and non-gender-conforming writers, putting them at the center of a conversation too often focused on the needs and priorities of cis-hetero, upper-middle class white women. CAN WE ALL BE FEMINISTS? invites this brilliant group of diverse young writers to explore their relationships with feminism through the lens of their particular identities and experiences, confronting issues of exclusion and discrimination, and asking how we can create a feminism that is truly for all. 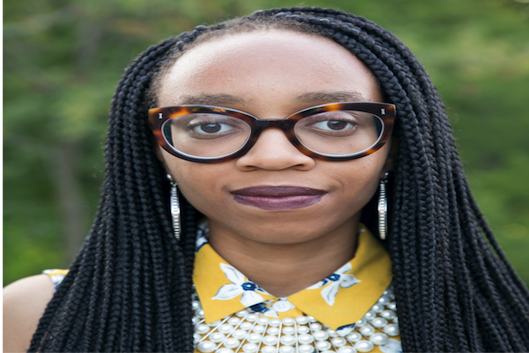 June Eric-Udorie is a twenty-year-old British writer and feminist activist. Named Elle UK's "Female Activist of the Year" for 2017, she has been included on lists of influential and inspiring women by the BBC, the Guardian, and more. Her writing has appeared in the Guardian, the Independent, New Statesman, the Telegraph, ESPN The Magazine, and Fusion, among others. She is currently an undergraduate at Duke University.